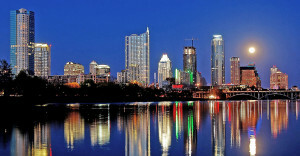 Looking for a home loan in the Austin area? When you decide to buy a home or refinance a mortgage in Austin or the surrounding areas, your search for a home loan or mortgage should start and end here. With so many lenders to choose from in the greater Austin area, and nationally, you need to choose one you can trust to find the mortgage loan that’s best for you. We know Austin and the surrounding areas of Travis, Williamson, Lee, Bastrop, Caldwell, Hays, Blanco, and Burnett counties. We know the local REALTORS®, they have come to value the service we provide their clients, we take that extra time to fully explain the loan process, what to expect and when, and follow up constantly with the personal communication that is critical to keeping a deal on track. We also have state-of-the-art technology that makes the loan process as easy and fast as possible, in most cases loan applications are underwritten in less than 2 days allowing us to go from contract to close in as little as 15 days. We help Austin families lower their mortgage payments and/or lock in lower interest rates for their home loans every day. Complete directory of Austin schools.